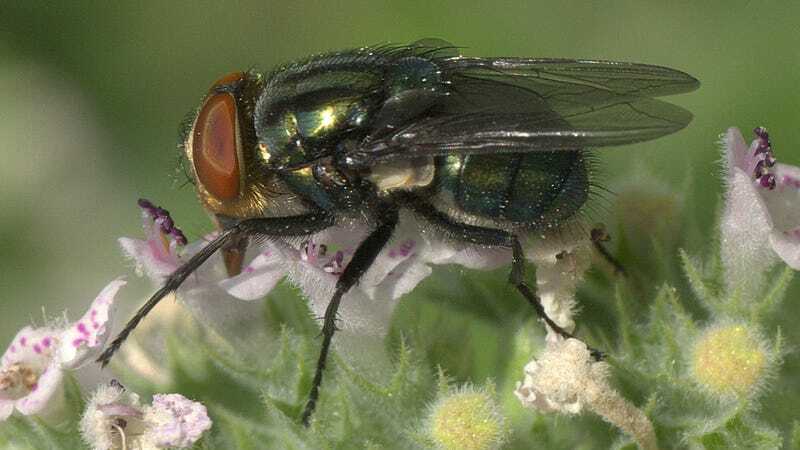 Officials in south Florida have been releasing troves of sterile flies in an effort to combat a parasitic maggot that eats the living tissue of warm-blooded animals—including humans. The New World screwworm outbreak—the first to strike the United States in over 30 years—has already claimed the lives of 120 Key deer in the Florida Keys (out of a herd of 1,000). State officials now fear that the blight could spread to livestock, causing millions of dollars’ worth of damage to agriculture. Residents are being asked to monitor their pets, while park managers have started to erect enclosures in case the deer need to be corralled for preservation purposes. In response to the infestation—which is currently limited to Big Pine Key and No Name Key—the Florida Commissioner of Agriculture has declared an agricultural state of emergency across the entire Monroe County. Meanwhile, authorities are working to suppress the population of screwworms by releasing sterile males in vast numbers. When these sterile males mate with females, no offspring are produced, resulting in a population crash. With each passing generation, and with increasingly dwindling numbers of fertile males, the fly basically breeds itself out of existence. The US Department of Agriculture says it has been releasing more than three million sterile files twice a week to prevent the infestation from spreading any further. Since October 11, state officials have carried out 87 releases at 25 sites in the Florida Keys. It’s not clear how long the current effort will take, or how much it’ll cost. Eradication efforts like this typically take about six months. Much to the chagrin of farmers, the parasitic screwworm fly (Cochliomyia hominivorax) produces larvae maggots that eat the living tissue of warm-blooded animals (a condition called myiasis). When in the larval stage, the worms burrow their way into live flesh in a corkscrew-like fashion (hence its name), effectively eating the animal from the inside. The worms typically enter an animal through an open wound. Frighteningly, it can also infect humans, though cases are rare, and none have been reported during the current outbreak. To create the sterile males, the flies are bred in vast numbers and then blasted with radiation. No genetic modifications are required. The USDA developed this technique back in the 1950s as a form of biological control. The US government spent $750 million over the course of 45 years to eliminate the troublesome fly in Louisiana, Florida, and Puerto Rico. The screwworm is a tropical insect, so its re-appearance in the United States may have something to do with rising global temperatures. But as noted, the screwworm has thrived in the US before. More work will be needed to establish a connection, should any exist.